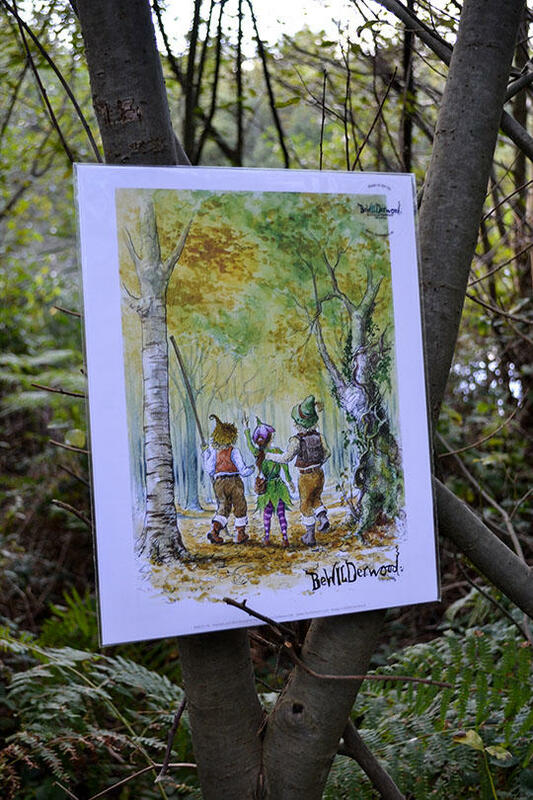 Take home some of the beautiful illustrations from the BeWILDerwood Books, perfect to brighten up wall displays. At 14 x 11 inches, there are 6 different designs to choose from.
" 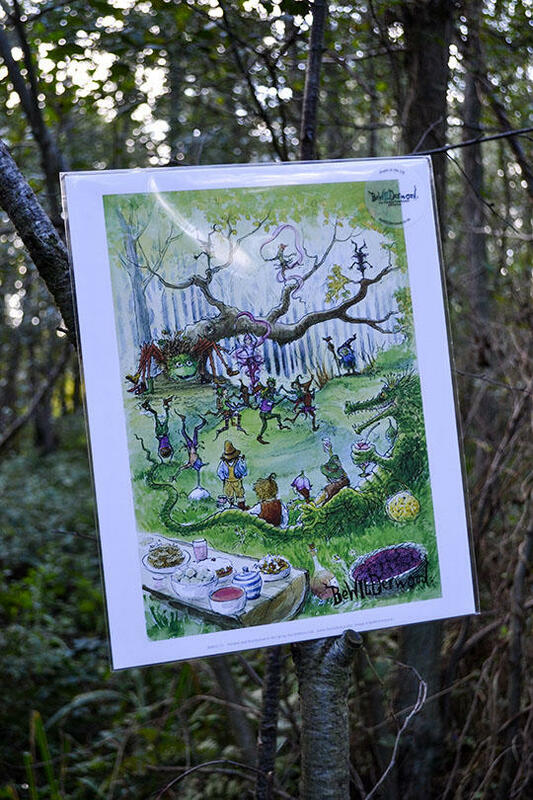 The Twiggles flew about like ballerinas and the Boggles stood on their heads and waggled their legs like mad. 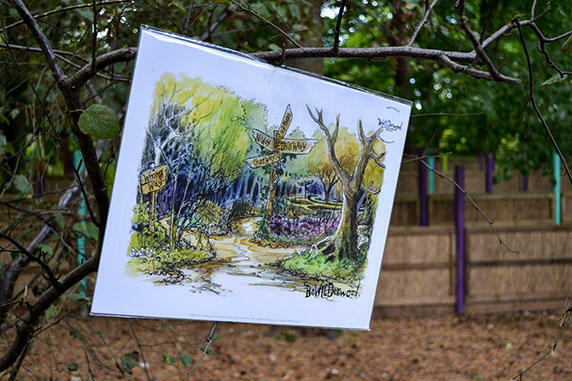 The chirping birds feasted on the delicious cake crumbs and even the little rabbits brought their babies along. 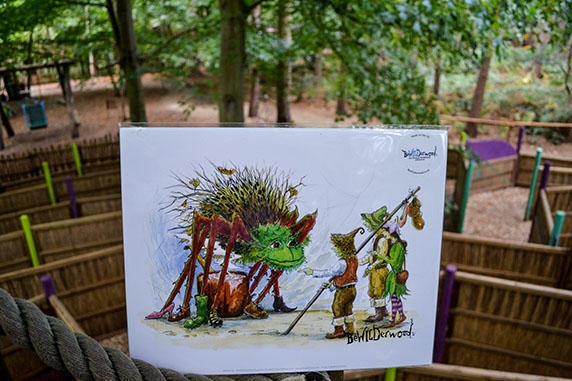 Everyone in BeWILDerwood was having fun..."
Welcome to the WILD and Wonderful BeWILDerwood webstore! 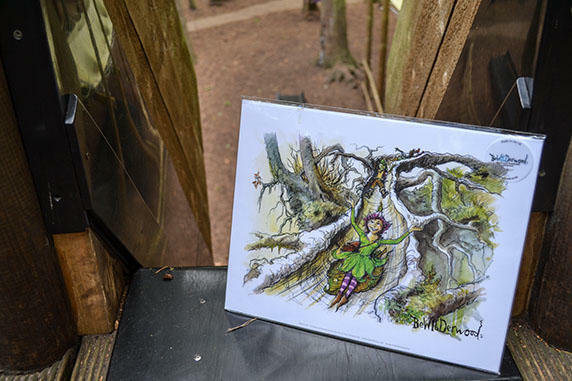 A Twiggle-Tastic one stop shop perfect for BeWILDerwood fans everywhere, where you can find a selection of the wonderful goodies available in the woods. 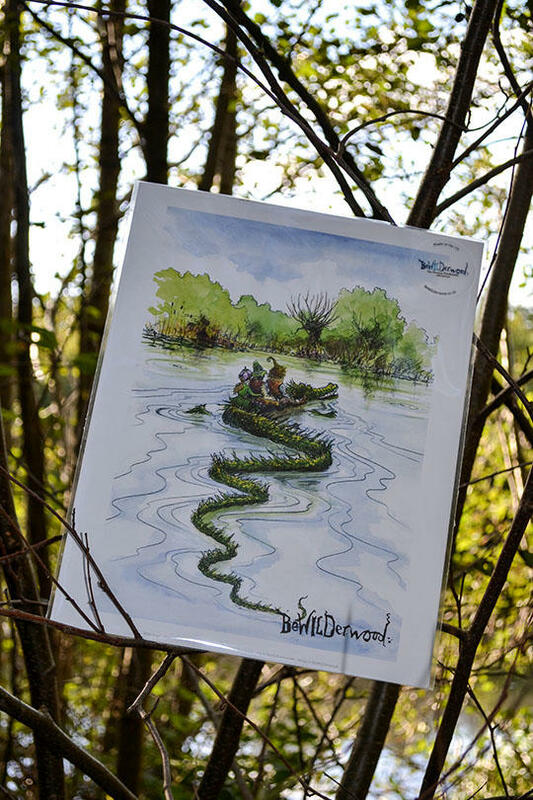 Follow the adventures of Swampy and friends in the book series, look the part with a BeWILDerwood Hoody, or even take a character home with you with one of our cuddly soft toys. There is the perfect gift waiting for you, just click the links and see what you discover!